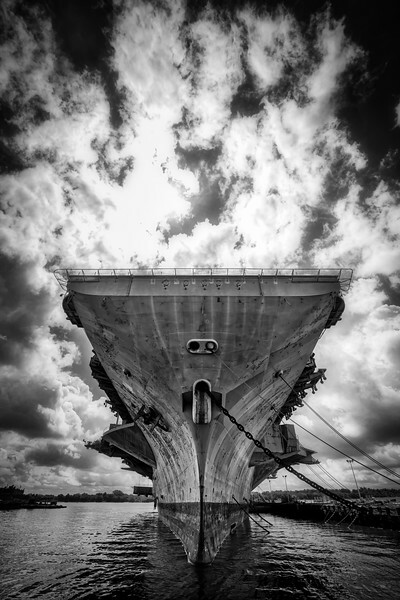 The decommissioned USS John F. Kennedy sits at the Philadelphia Naval Yard awaiting its final voyage. 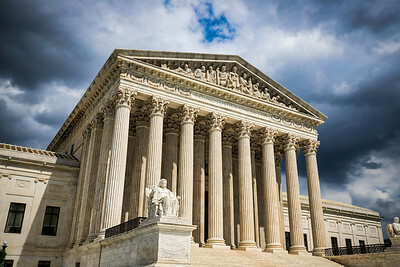 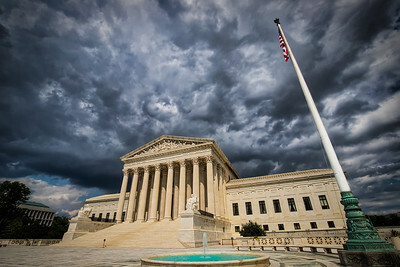 The front of the US Supreme Court building in Washington, DC. 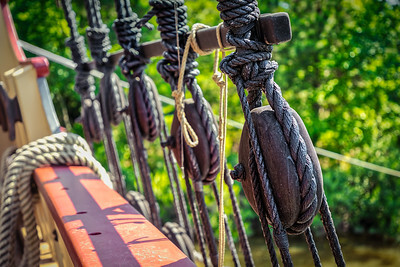 The ropes at the bottom of the rigging of a sailing ship in Virginia. 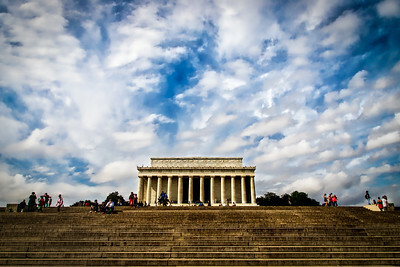 Looking up at the Lincoln Memorial from the reflecting pool on the National Mall in Washington DC. 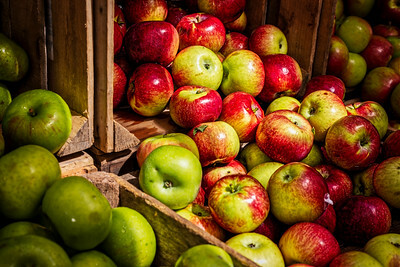 Just picked ripened apples in wooden crates ready to eat. 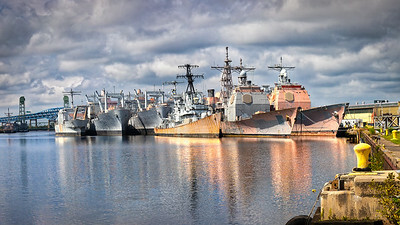 Decommissioned Navy ships, sometimes called the "mothball fleet", at an east coast port. 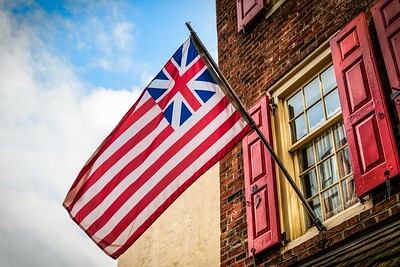 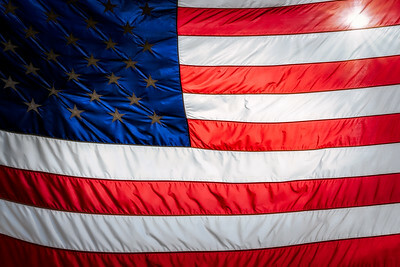 The Grand Union Flag, also called the Continental Colors, Congress Flag, Cambridge Flag, or First Navy Ensign is generally considered the first flag of the USA. 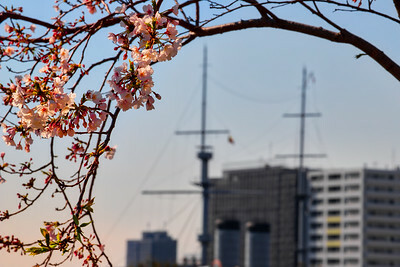 Cherry Blossom time in the morning at Yokosuka, Japan. 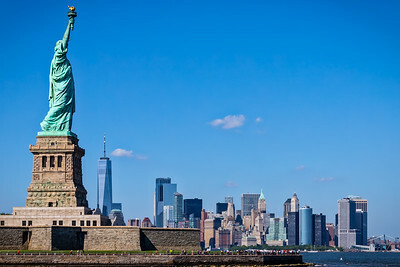 The Statue of Liberty with New York City in the background. 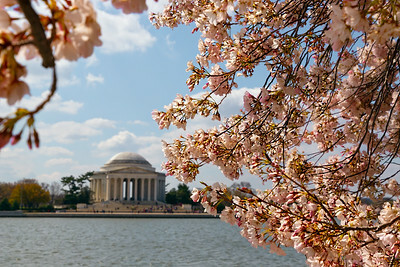 The Jefferson Memorial behind cherry blossoms on the Tidal Basin in Washington, DC (April 10 , 2018). 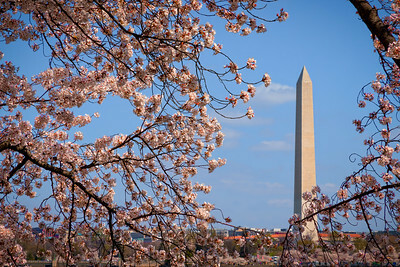 The Washington Monument behind cherry blossoms on the Tidal Basin in Washington, DC. 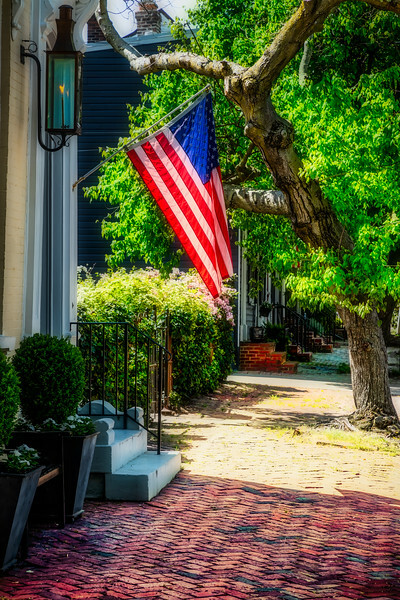 An American flag, hanging on a building in Alexandria, Virginia. 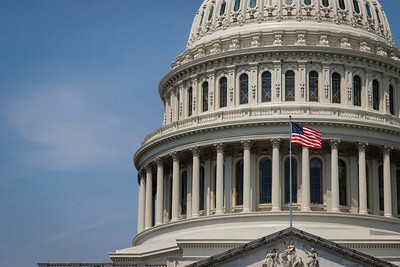 The United States Capitol Building in Washington DC on a summer day with its flag waving in the wind. 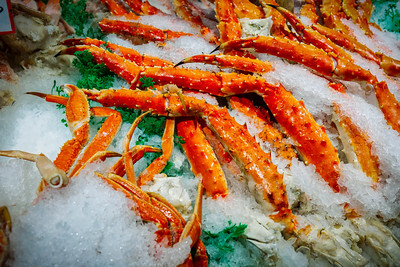 Crab legs sitting on ice at a market in Seattle, Washington. 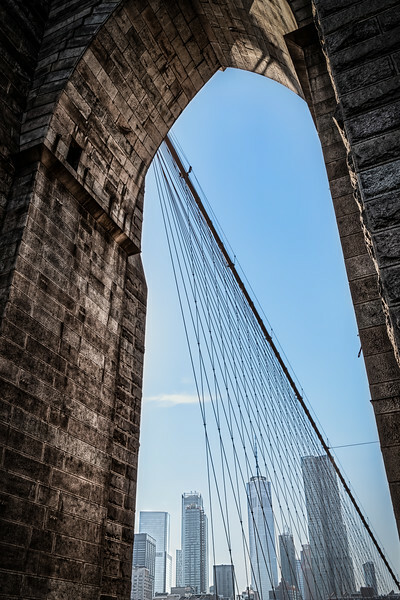 Looking back at the New York skyline through the arches of the Brooklyn Bridge. 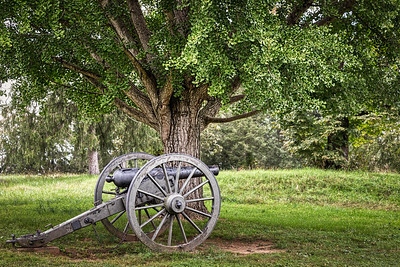 A canon sits on a corn field at the Chancellorsville Battlefield in Virginia. 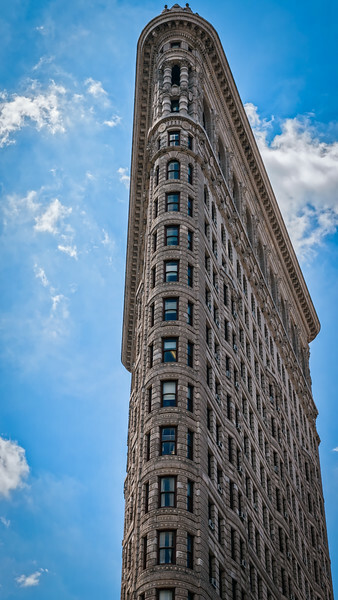 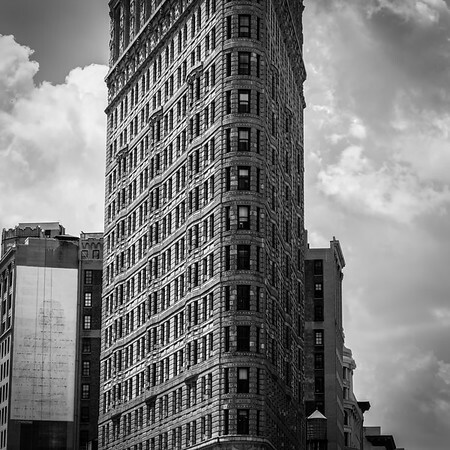 The Flatiron Building, originally called the Fuller Building, stands in New York City and was built in 1902. 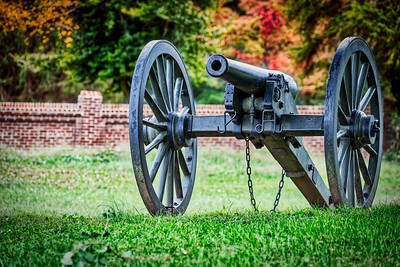 A long silent Civil War cannon sits in a Virginia field. 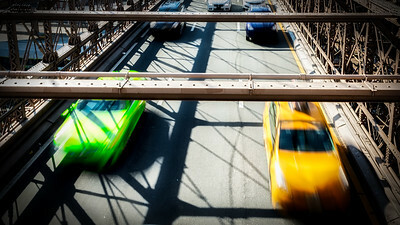 Looking down on traffic on a bridge in New York CIty. 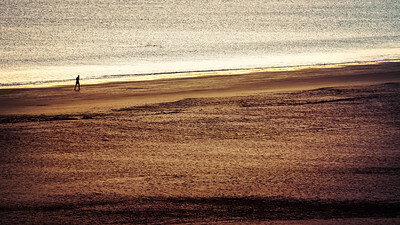 The silhouette of a sunset runner on the beach in Coronado, California. 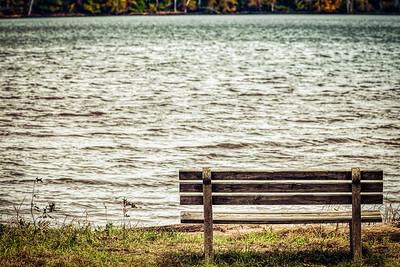 An empty park bench looks over a Virginia bay with fall colors appearing on the other side. 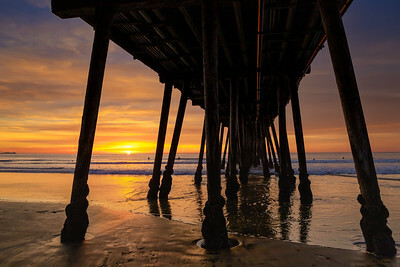 The setting sun at the pier in Imperial Beach, California with surfers swimming to catch waves. 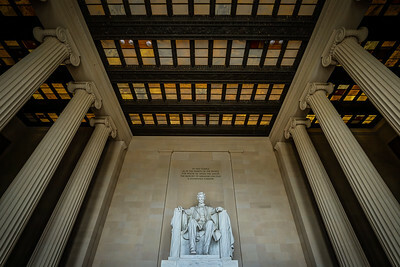 The spacious interior of the Lincoln Memorial in Washington, DC. 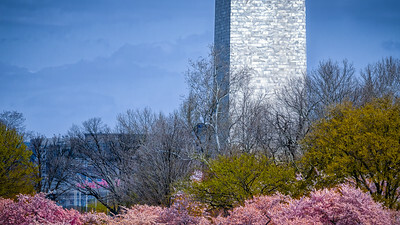 Tourist walking along the reflecting pool in front of the Lincoln Memorial. 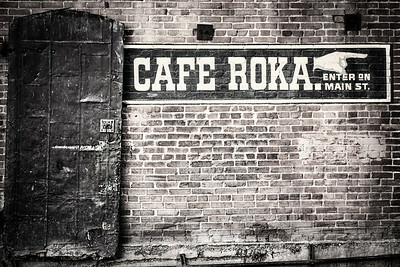 A sign on a brick wall for Cafe Roka in Bisbee, Arizona. 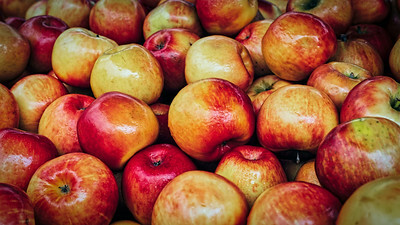 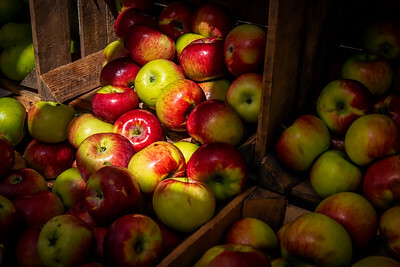 Just picked rippened apples in wooden crates ready to eat. 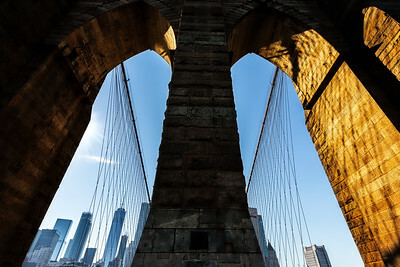 Looking back at New York City from the Brooklyn Bridge. 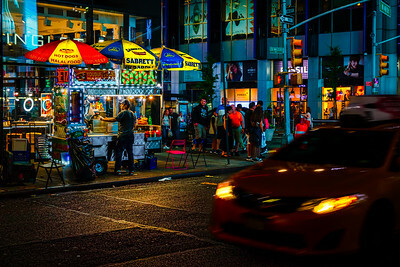 A food vendor on a side street off of Times Square in New York City. 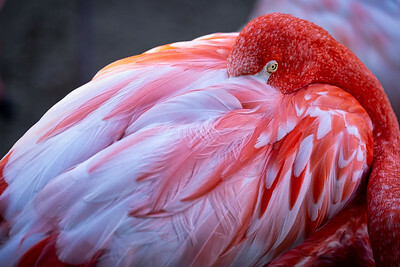 A flamingo sleeping and keeping warm with its beak in the feathers. 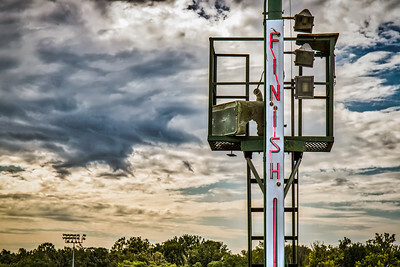 A cloudy day and the neon lights of a race track finish line in Maryland. 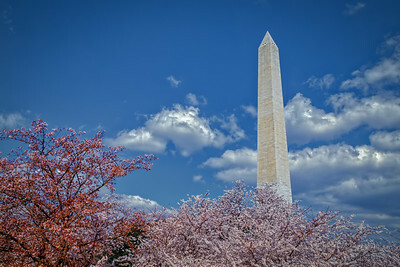 On the right side of the Lincoln Memorial are three panels with Lincoln's Second Inaugural Address. 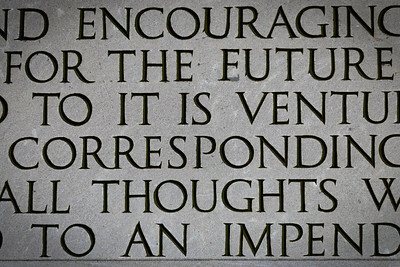 There is a misspelled word where the engraver misspelled "FUTURE" by accidently spelling "EUTURE." 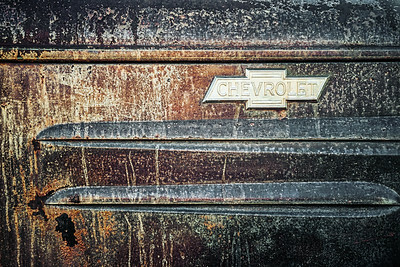 The bottom of the E was filled in but it's still visible, it’s on the left panel about halfway down. 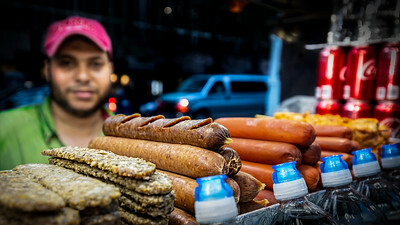 I always ask for permission to shoot food on the street, every vendor in NYC said yes. 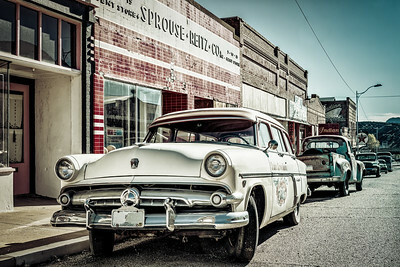 No matter how busy they were, they all allowed me and were nice about it too! 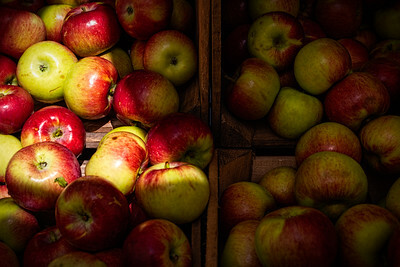 Some even took a break, like this guy, who wanted sneak in the photo. 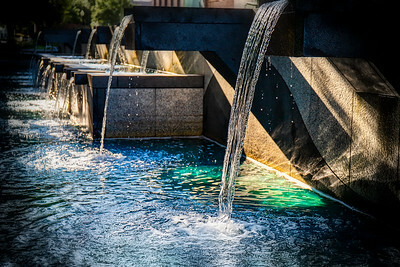 The morning sunrise light at a trickling set of fountains on a Washington, DC side street. 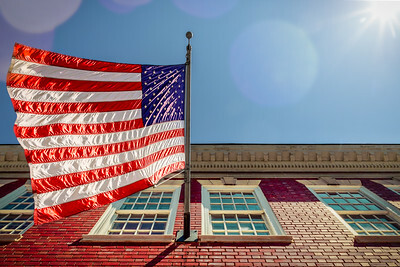 Ellis Island and the Immigrant Inspection Station where over 12 million immigrants entered the United States from 1892 to 1954. 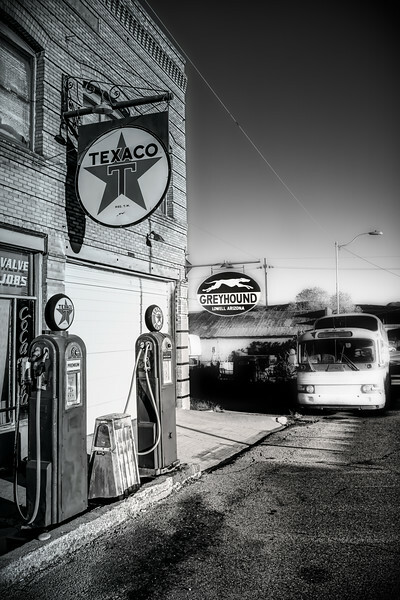 An old Texaco station and Greyhound stop in Lowell, Arizona. 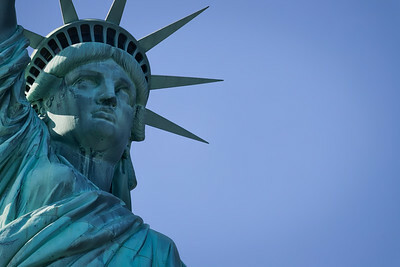 The face of the Statue of Liberty in New York. 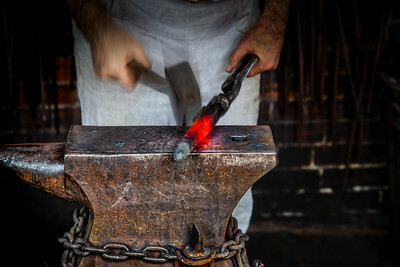 A Virginia blacksmith practicing his craft on an anvil in a country barn. 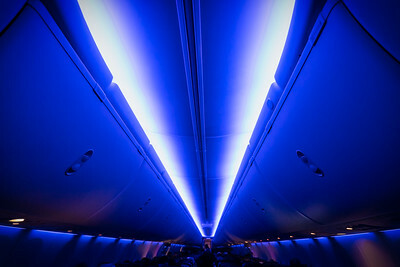 The blue interior of an airliner with people sleeping and reading. 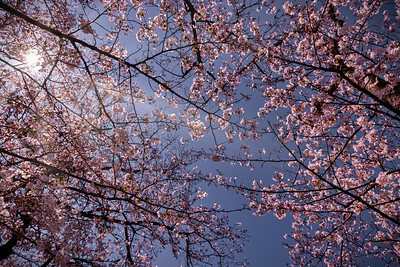 Looking up at cherry blossoms in Yokosuka, Japan. 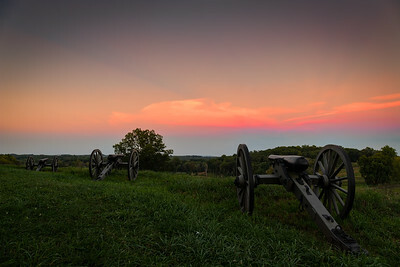 The evening sun setting on a trio of American Civil War cannons. 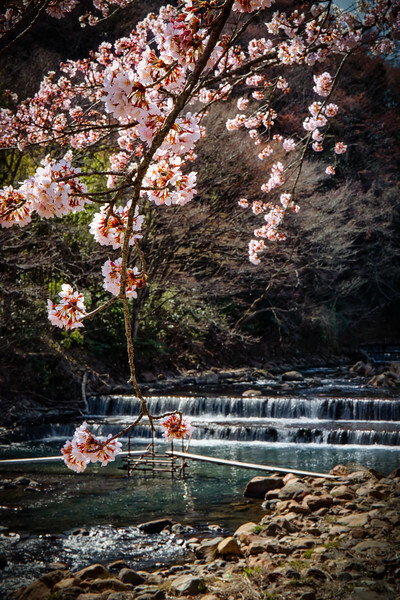 Cherry blossoms in full bloom next to a stream in Hakone, Japan. 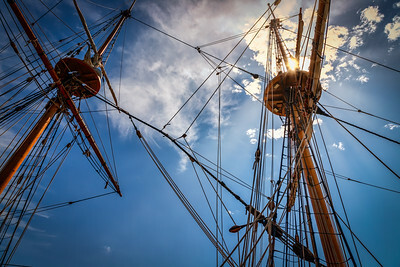 The sun poking through the mast and rigging of a sailing ship in Virginia. 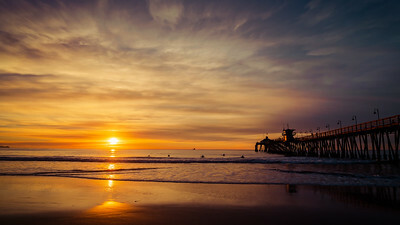 The setting sun at the pier in Imperial Beach, California with the silhouettes of surfers waiting for waves. 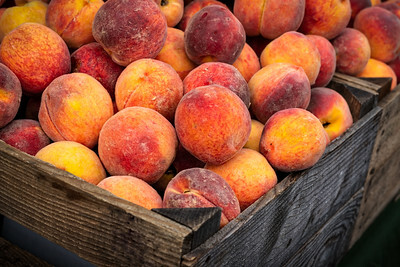 Just picked rippened peaches in wooden crates ready to eat. 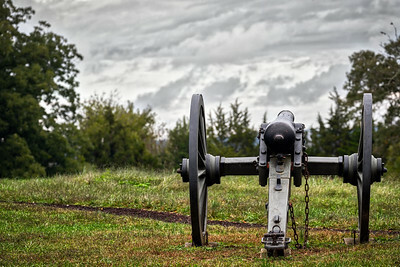 An American Civil War cannon sits in a Pennsylvania field. 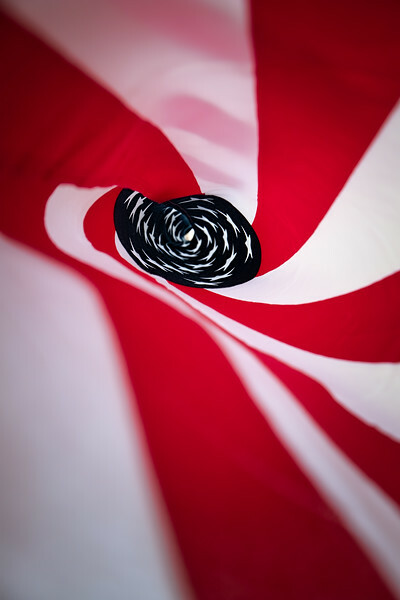 Looking up the inside of the coiled up American flag hanging on my patio. 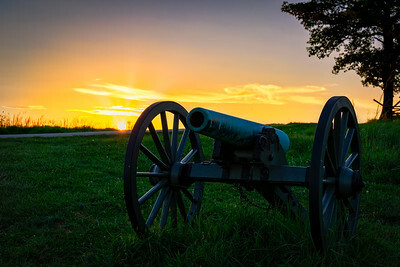 The evening sun setting on a long silent American Civil War cannon. 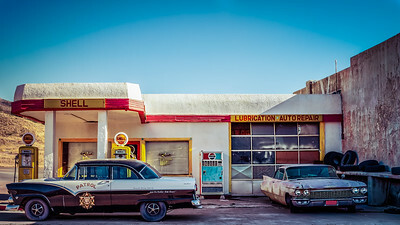 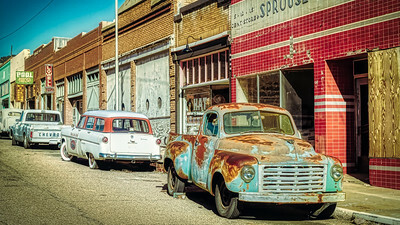 Erie Street in Lowell, Arizona is like walking back in time, old cars in front of old store fronts. 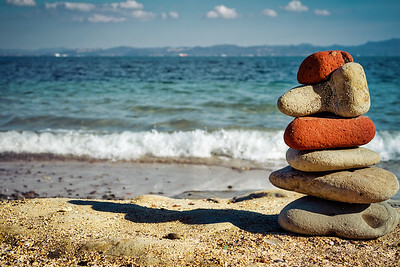 The art of rock balanceing is alive and well in Japan. 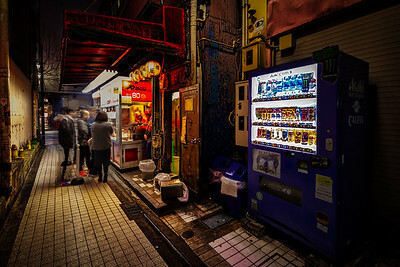 In a Yokosuka, Japan alley where customers eat yakitori while the chef prepares more inside the window. 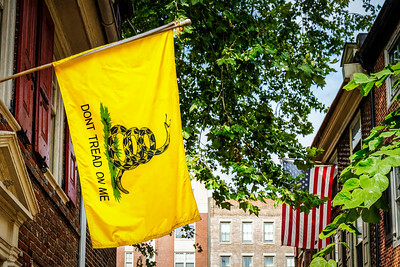 The Gadsden flag, with “Don’t Tread On Me” written on it, was designed by General Christopher Gadsden during the American Revolution. 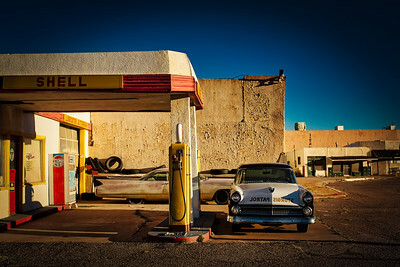 A police car sits outside the Shell station at the end of Erie Street in Lowell, Arizona. 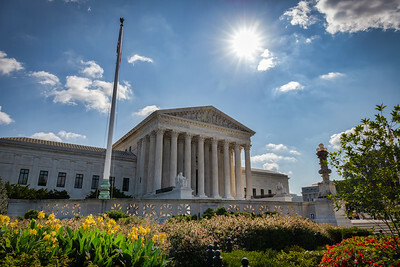 A summer day in front of the US Supreme Court Building in Washington, DC. 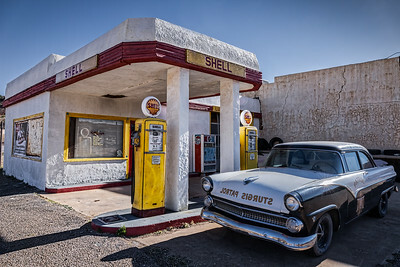 An old Shell station in Lowell, Arizona complete with an squad car. 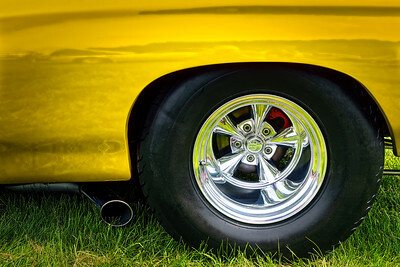 The rear end of an early 1970's American classic car in yellow. 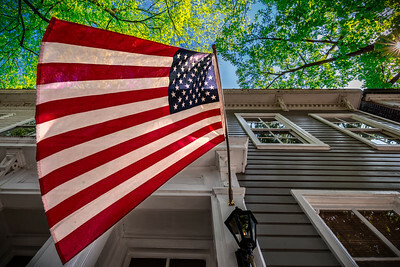 A flag flying on a sunny morning from a building in Alexandria, Virginia. 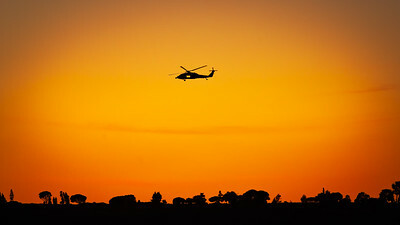 A helicopter flying in southern California against the setting sun. 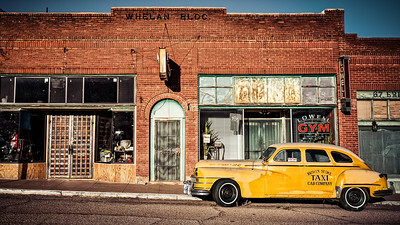 A cab from the Broken Spoke Taxi Cab Company sits on the street in Lowell, AZ. 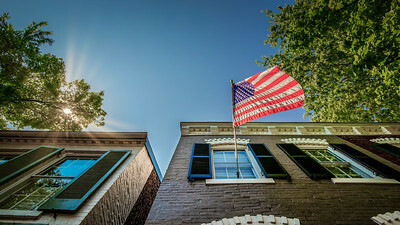 A flag flying over a brick building, with a few sun spots, in Alexandria, Virginia. 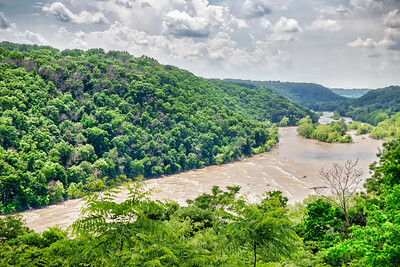 The Shenandoah River as seen from above Harper's Ferry, West Virginia. 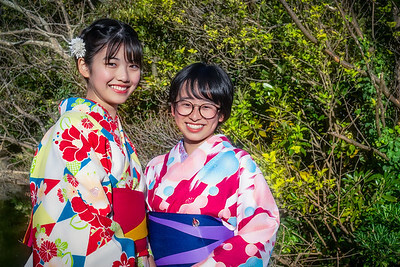 A photographer taking a photo of a woman in a traditional Japanese kimono in Kamakura, Japan. 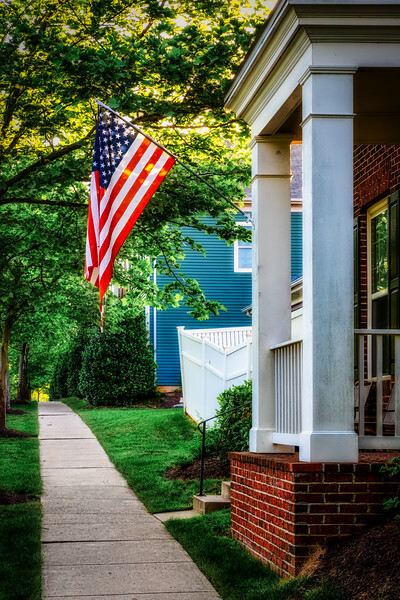 American flag hanging on the front door at sunrise near Fort Belvoir, Virginia. 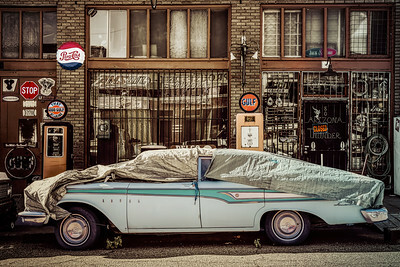 Erie Street in Lowell, Arizona is like walking back in time with this old Edsel partially covered with a tarp. 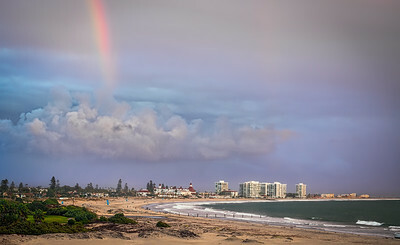 A rainbow appears over the small seaside town of Coronado, California. 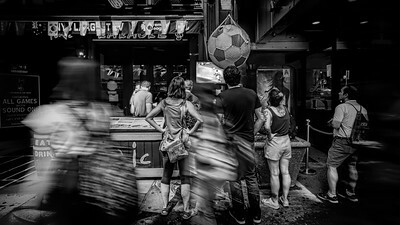 Fans watching 2018 World Cup game on a television near Times Square in New York City. 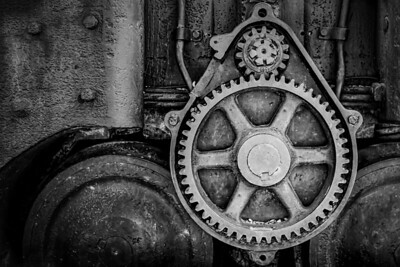 The teeth and gears of mining equipment in Bisbee, Arizona. 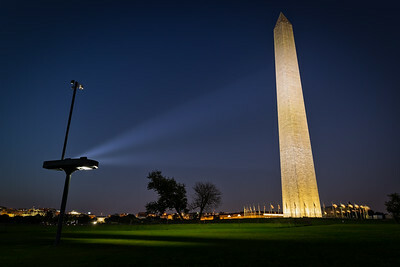 One of the lights that shine on the Washington Monument. 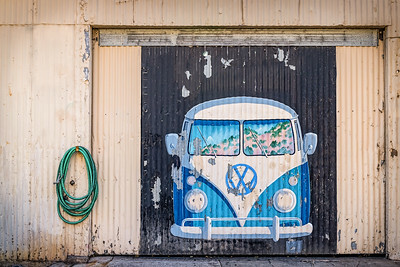 A garage door in Bisbee, Arizona with a great VW painting. 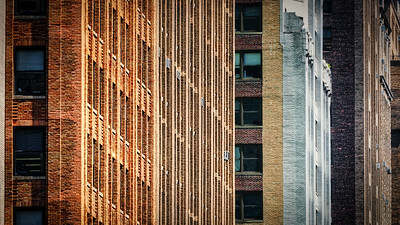 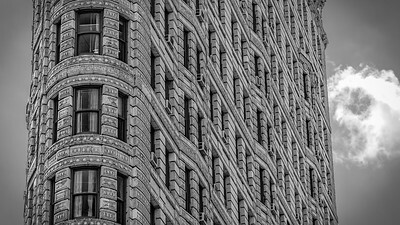 Colorful, and durable, the old brick buildings in the downtown area New York City. 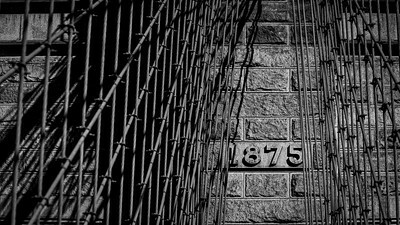 The date, 1875, on the Brooklyn Bridge in New York City. 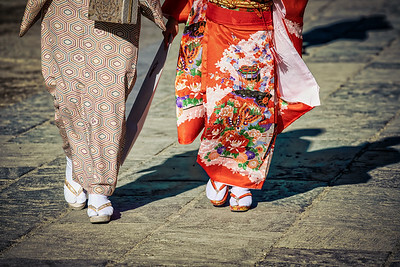 Two Japanese women in kimonos walking in Kamakura, Japan with their shadows following. 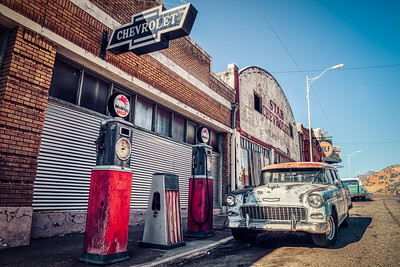 An old Shell station in Lowell, Arizona complete with a few antique cars and an old Pepsi machine. 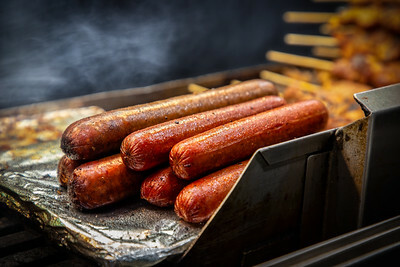 Sausages and kebabs on the grill at a food stand in New York City. 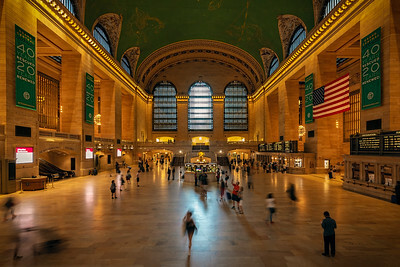 An early Saturday morning at Grand Central Station in New York City. 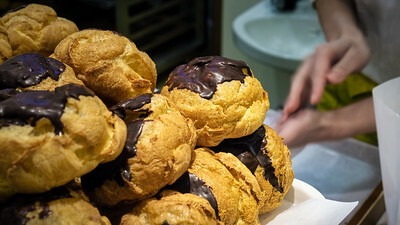 Cream puffs in Japan, add it to the list of everything else that's amazing in Japan. 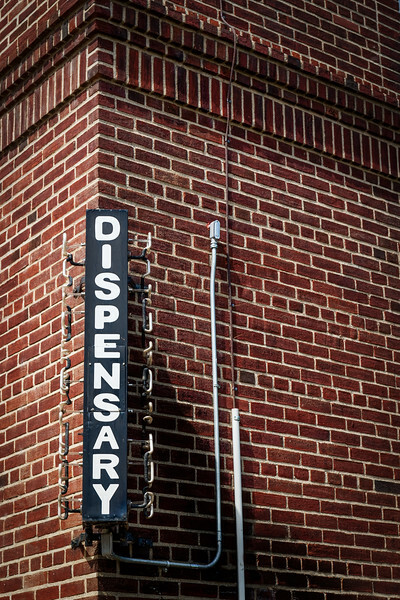 A dispensary sign on a brick medical building in Philadelphia, PA.
A 15 star American flag flying on a pole on a windy day. 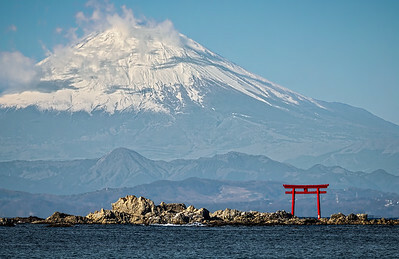 The Chureito Pagoda and Mount Fuji near Fujiyoshida, Japan. 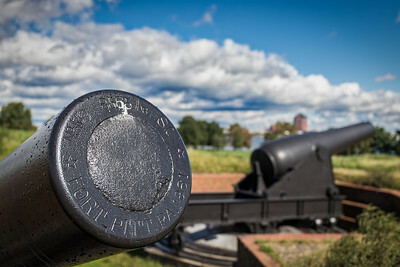 The guns at Fort McHenry near Baltimore, Maryland. 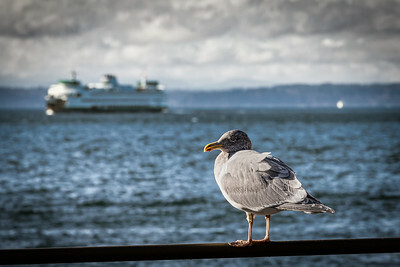 A seagull sitting on a railing in Seattle, Washington overlooking Puget Sounds. 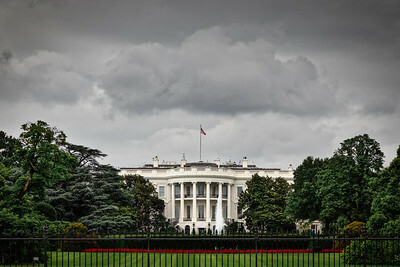 The back lawn of the White House with its trees and fountain. 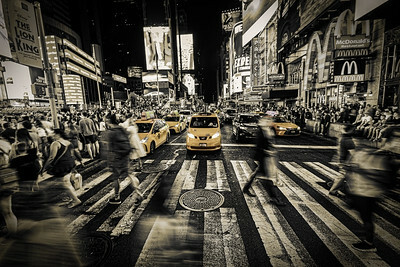 A cross walk, with cabs waiting for the green light, at Times Square. 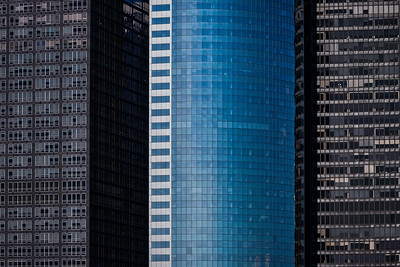 The contrast between three different styles of office buildings in New York City. 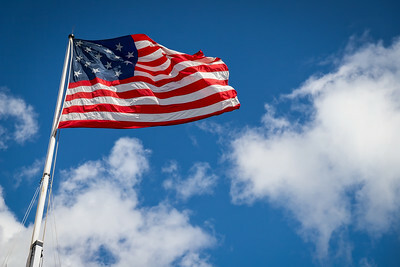 The sun shining behind the stripes of an American flag. 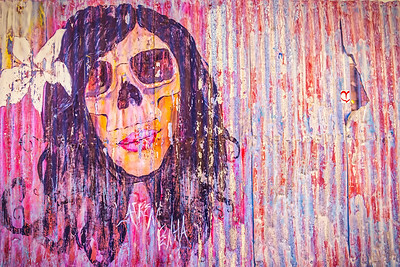 Just about every available space in Bisbee, Arizona is fair game for graffiti or actual artwork. 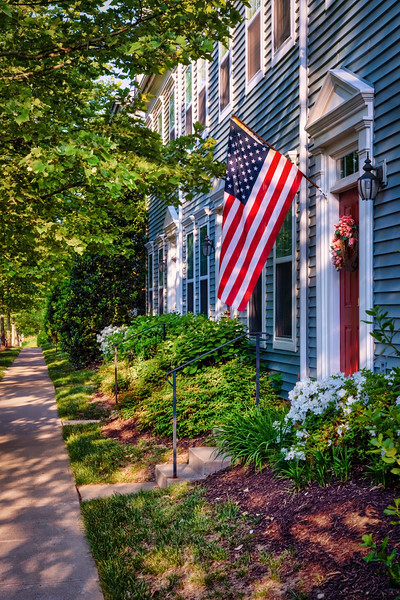 In this case, a beautiful combination of both. 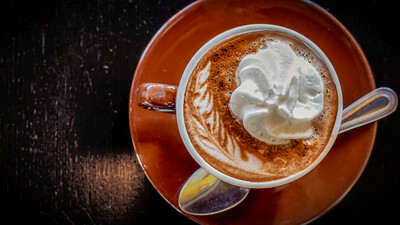 Looking down at a tabletop with a cup of cappuccino ready at breakfast. 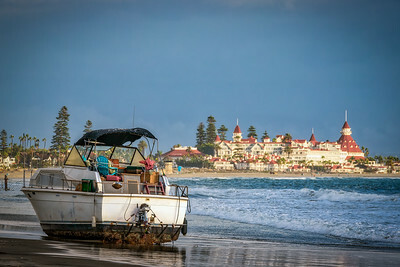 A boat that washed up on the beach at Coronado, CA, not exactly a deserted island. 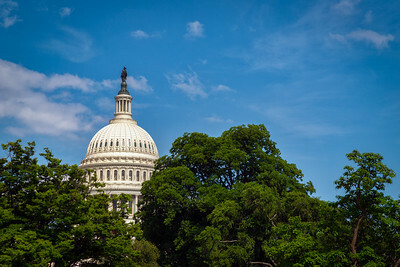 The US Capitol dome as seen through the nearby trees surrounding the building. 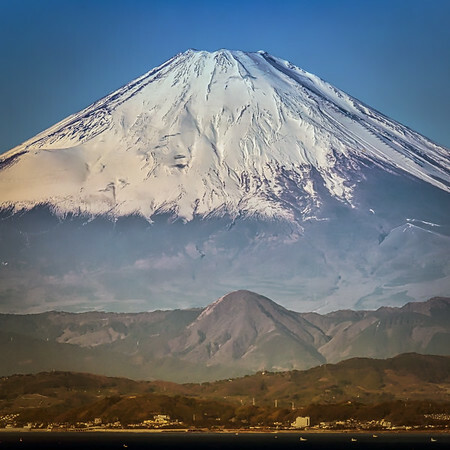 Mount Fuji as seen from across Sagami Bay near Hayama, Japan. 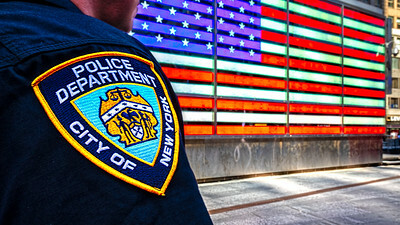 A New York City Police Officer standing in Time Square at the lighted American flag sign on the Armed Forces Recuiting Center. 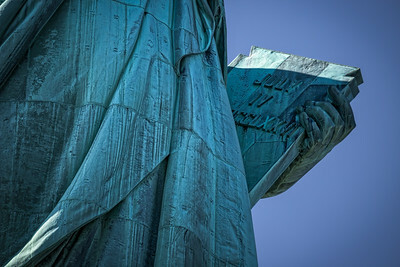 The Statue of Liberty and the tablet held by Lady Liberty. 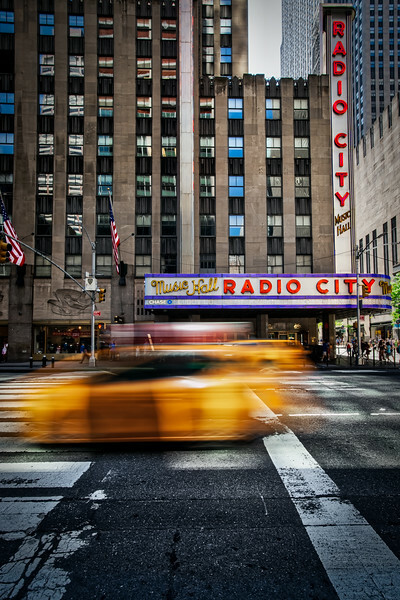 Traffic passing by Radio City Music Hall in New York City. 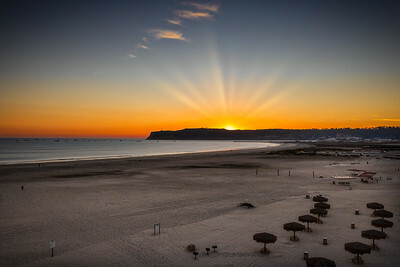 A panoramic photo of a sunset on the US-Mexico border in El Paso, Texas. 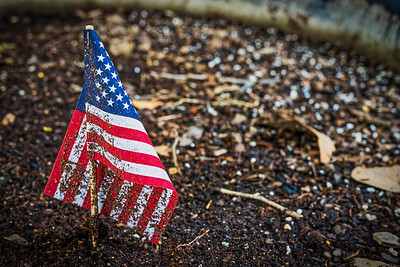 A miniature US flag sits in a flower planter partially covered with dirt. 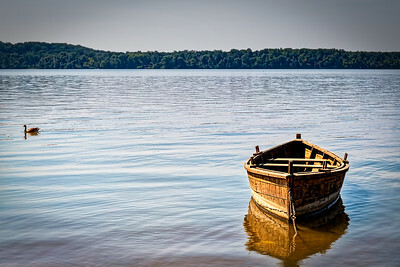 A small boat sits tide up to the shore of the Potomac River on the Virginia side. 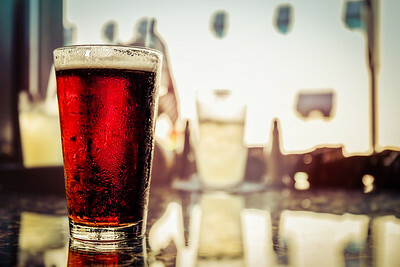 A cold pint of Irish Ale sits on the top of a table. 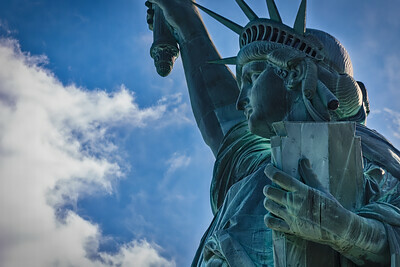 A side view of the Statue of Liberty in New York. 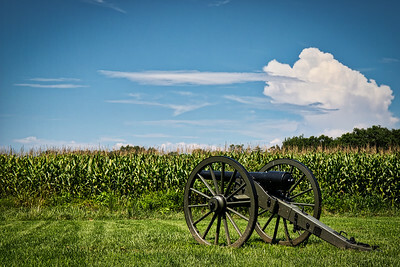 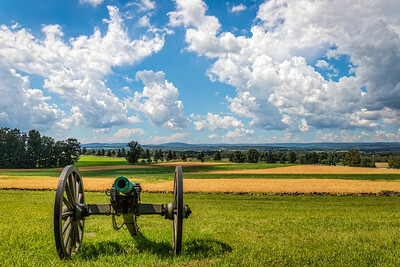 A cannon sitting from the American Civil War sits on a Virginia field. 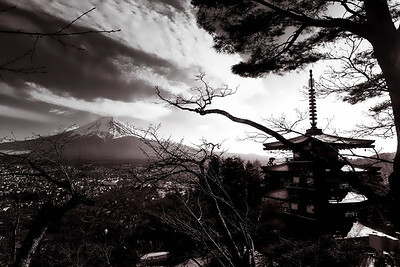 with a fall forest in the backgound. 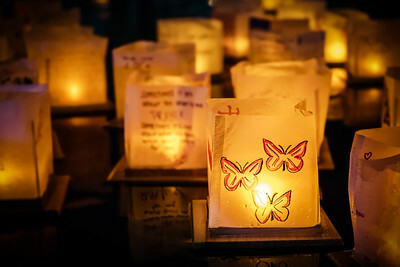 An east coast lantern festival with personal inspirational messages floating out on the water. 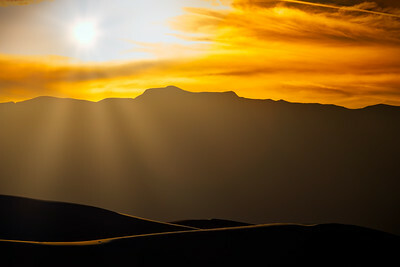 The sun setting behind the mountains near Alamogordo, New Mexico. 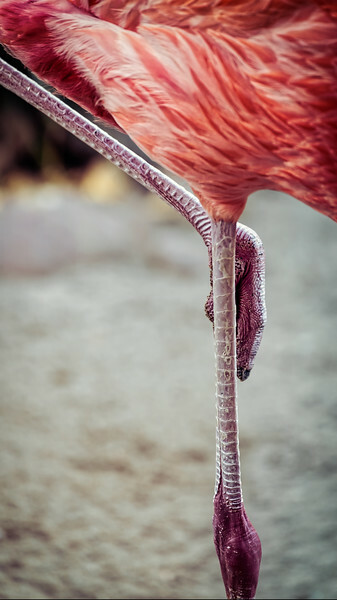 The legs of a flamingo sleeping while standing on one leg. 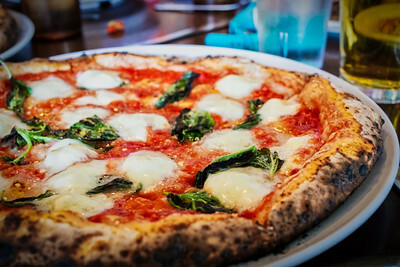 An Italian pizza margherita with drinks sitting on a table. 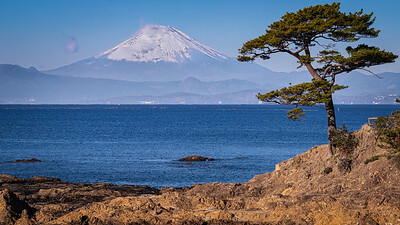 My first time shooting Mount Fuji as seen from across Sagami Bay near Hayama, Japan. 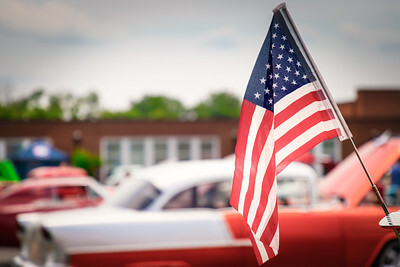 The wind blowing an American flag over a classic American fifties car at a Virginia show.